This Liverpool group were previously known as The Four Just Men but by 1966 it was felt a new approach was needed with a new name. Their new manager Mike Carr owned a coffee bar, which he turned into a club, 'The Sinking Ship', near Mersey Square South in Stockport and Wimple Winch became the house band. They secured a record contract with Fontana and proceeded to record three now much acclaimed singles. The best of these were Save My Soul, a mod-inspired wild slice of freakbeat; Rumble On Mersey Square South, a superb and really very complex song for 1966 and Atmospheres, another superb and punchy piece, which veered towards psychedelia, with lots of good fuzz guitar and another quite complex arrangement. The 'official' flip to Rumble..., Typical British Workmanship, was probably their weakest composition. Their first 45 remains uncompiled. What's Been Done, the 'A' side, was a Merseybeat-influenced number. The flip, I Really Love You, was more experimental but still used a beat format. Although their three singles sold well locally this wasn't reflected in sales nationally and Fontana didn't renew their contract. Just prior to this, their resident club in Stockport caught fire and was gutted one night - they lost all their gear in the fire and only just got out the building in time themselves! They did rally to record their own unreleased album in the Summer of 1967 including Marmalade Hair, Lollipop Minds and Bluebell Wood. The first two, in particular, are superb examples of British pop-psych and well worth hearing. Later that year they disbanded. Lawrence Arendes (now King) joined Sponze, a late sixties, slightly jazzy progressive rock combo, who backed Dave Berry on a 1969 45, Huma Luma/Oh What A Life (Decca F 12905). They later evolved into Pacific Drift, who recorded an album and single for Deram in 1970. Dee Christopholus went on to appear in several London Stage Shows including 'Hair', 'Jesus Christ Superstar' and 'Joseph And His Amazing Technicolour Dream Coat'; appeared in BBC's 'Rock Follies' and recorded in the late seventies for G.T.O. 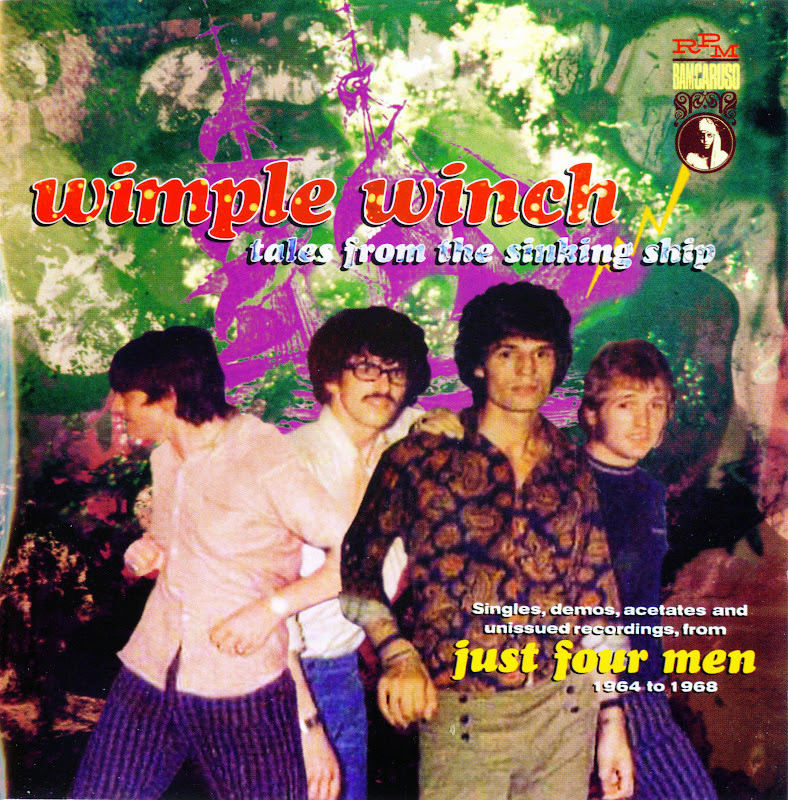 Wimple Winch were undoubtedly one of Britain's finest freakbeat/psychedelic outfits and their recorded output (certainly the last two singles) are essential for fans of the genre.